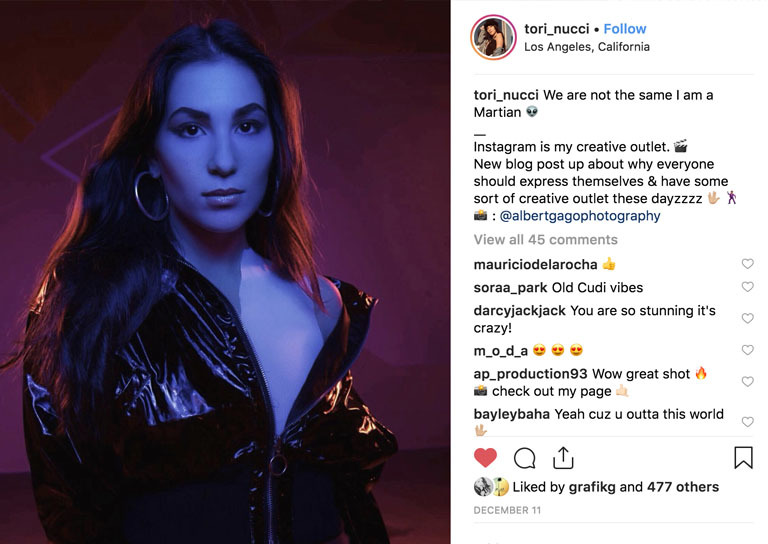 This article contains excepts from Tori’s original blog on torinucci.com - Tori Nucci is a Content Creator based in Los Angeles. What does 2019 look like for Instagram? you have to find the hashtags that fit your personality and engage with those daily! Honestly, it’s all a bunch of b.s.… like remember when social media was fun? Content will rule everything else. period. Treating Instagram like it’s Facebook (cause it pretty much is now). Brands will reach out to accounts that may have a smaller, more loyal and engaged following. Think about it: if some random account you follow with hundreds of thousands or millions of followers posts something that you find interesting, are you seriously going to DM them asking more about it before making a purchase, or are you going to keep scrolling? You’re probably not going to inquire about anything because chances are, they aren’t going to answer! Reaching out to authentic supporters of a product or brand is the only way to go. People who know and trust these people are going to reach out to them directly and ask more questions because at the end of the day, word of mouth is still the most powerful marketing tool. not king. queen. Who you are outside of social media is, and always will be king. Most of the people with a crazy large following are either singers, actors, supermodels, athletes, etc. Aka, they have lives outside of social media that involve people already watching them, so social media really paves the way for people to watch them….even more. Which is why content is queen. you better have dope content. Be consistent with posting often. Aim for 3 times a week at minimum. And don’t just post random things to qualify for that 3 times a week rule. Make sure each picture is cohesive to some sort of theme. There’s tons of apps to schedule and preview your photos and see which look best side by side. I honestly love moving photos around; it’s quite fun. *CAPTIONS* Say something you mean! And mean what you say. People, and especially you, can tell if what you’re portraying is really you on social media. So dig deep and think about what it is you want to say. If you were to die in a week (sorry, I know, morbid), everyone would be looking at your social media posts, reading your last captions. Do you want the captions to say rap lyrics, or something from the heart? If you can’t think of anything, don’t stress. Just be real and tell a story about taking the picture. It’s okay to be vulnerable and put yourself out there. which means you have to be social. In the real world, if you would just go up to someone in public and give them your number, then block the number, people aren’t going to trust you…and you’re going to look really weird. Buuuut. If you were to compliment someone, then start a conversation about that similar interest, there you go. You have just made a friend. As childish and elementary as this sounds, it really works this way on social media, just as it does in real life. Don’t be snooty. If you really love someone’s content, just tell them! Hopefully that person actually responds and a mini social media relationship can form from it. In 2019, less emphasis will be put on the amount of followers an account has, for reasons mentioned before, but also because… well, Facebook bought Instagram. If you think about it, when Facebook bought Instagram, changes were already put in place. The algorithm changed, making it so you would see posts from the accounts you actually engaged with, and pretty much eliminating all the rest from your life. This leads to larger influencers receiving less engagement on their posts, as well as a slower growth in followers. 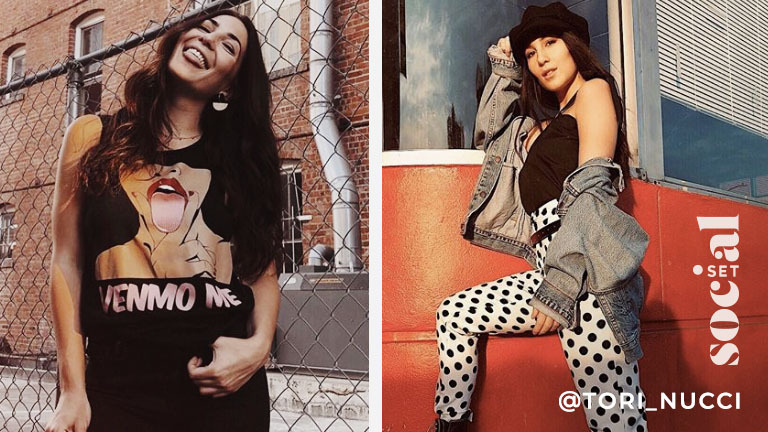 In 2019, more of this “family” type of algorithm is sure to be in place, as people are complaining about seeing influencers everywhere promoting products he/she may or may not even like or use, and Facebook owners wanting the platform to behave more of a close, genuine network instead of a platform for stalking celebs. Think about it. No one cares about how many Facebook friends they have– imagine if this was the direction Instagram went in. I know, that’s extreme, but at the end of the day, it really all boils down to engagement. How many “real” friends do you have engaging with your posts? Do you respond? 2019 is all about creating quality content. If you have any thoughts about what 2019 is going to bring for Instagram influencers and any changes in the platform in general, let me know in the comments! I’d love to hear from you– even if it’s a difference in opinion.